Defrost eggplant and zucchini according to package directions. Add all ingredients to food processor and pulse or puree to desired consistency. That’s it. 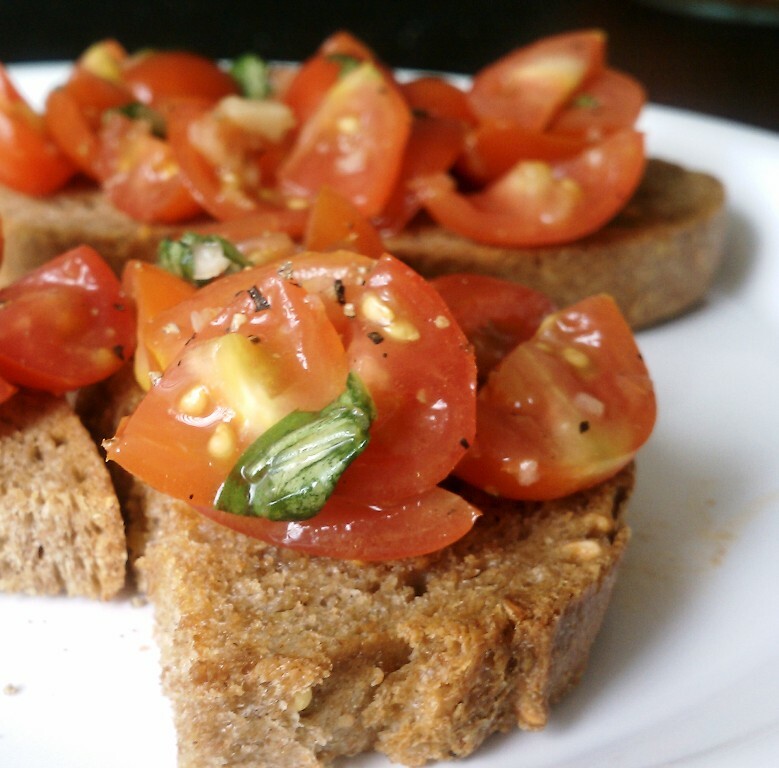 Serve this on crostini, pasta, salad, pizza or just eat with a spoon. It’s always delicious! In a large bowl whisk olive oil, garlic, vinegar, salt and pepper. Add tomatoes and basil, give a quick stir and voila. 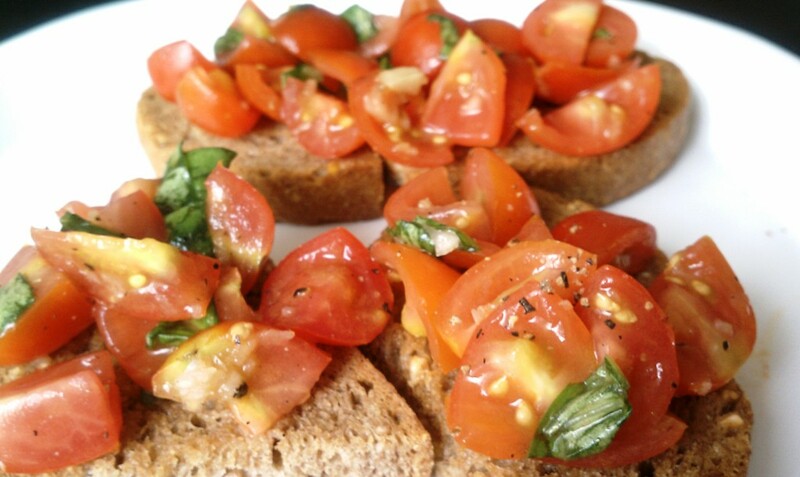 Fresh tomato bruschetta!